Quoting properly and effectively is a big part of doing business. But let’s admit it — it’s not an easy job for some people, and others sometimes forget doing simple things that can actually create impact to their customers. If you find quoting a bit challenging, don’t worry. We got you covered. Customers can receive up to 12 quotes from businesses on ServiceSeeking.com.au. If you want yours to stand out from the rest and be picked, you should up your quoting game and follow these tips. 1. Greet your customer properly. Don’t forget to greet your customers properly, even in a quote. Always be professional as if you’re talking to your customer and giving them a price face-to-face. 2. Include a short introduction. Tell something about yourself but make it brief. To keep it short, giving your name, your number of years in the industry, and some of the jobs you specialise in is usually enough. If they want to know more about you and your business, they can always visit your Service Seeking profile or your website. 3. Offer a fixed quote. There are other quote types — range, rate, and approximate — and it’s okay to use them. However, according to gathered data, businesses that give a fixed quote price is 36% more likely to win jobs than those that give other kinds of quote. Are there additional costs? Remember to include them in your quote. Never surprise your customers at the end of the job with hidden costs they should have known about. We highly recommend that you give a price breakdown. You can also include good reasons to hire you. If you’re a Pro Business, you can mention the $5,000 cover they’ll get by booking you for a job. Another example is if you offer a satisfaction guarantee and that you’ll redo the job for free if they’re not happy with the job. 1. Don’t give a blank quote. Giving a price alone is not enough. It’s still a lot better to include even a short message when you quote. 2. Don’t badmouth other businesses. It’s unprofessional and speaks more about you and your company than the businesses you’re putting down. You should focus on your own company and services — your good points and unique selling points — rather than speak ill of your competitors. 3. Don’t give $1 quotes and unrealistically cheap prices. Not only is it unprofessional; it’s also rude and deceitful. If you find it hard to give a fixed quote that you’re sure of, you can give an approximate or a price range instead. You can also mention in your message about needing a site inspection or seeing the job in person before you can give a final price. 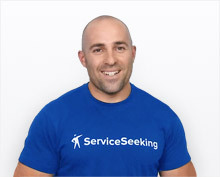 At ServiceSeeking.com.au, we are dedicated to helping businesses succeed by helping you make the most of job opportunities. If you want to read more tips and how-to articles, you can go here.